Sometimes you may prefer a silent keyboard, other times a noisier one, like some modern mechanical keyboards (Das Keyboard, Ducky, Filco, Razer, Corsair, etc) or the old IBM M.
You can have two keyboards and change them, but you can also, at least temporarily, keep just your low profile super sleek keyboard, and arm your PC with a freeware that will register sounds to the keys so that you will be able to hear the mechanical click clacks from your speakers. Just in case you try to avoid spending money for a keyboard, be aware that prices have fallen significantly and you can now get a dissent mechanical keyboard for $ 40. At any rate, since I use mechanical keyboards for years, let me tell you that having just the sound from speakers, is not even close to the whole experience of a mechanical keyboard. 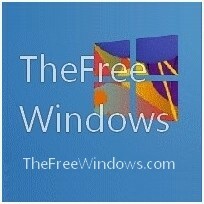 TheFreeWindows created two sound schemes you can download for free. The first one features ‘generic’ mechanical sounds, even acoustic sounds that are not from a keyboard in order to enjoy some extra variety. This scheme is called Mechanical Plus.The second scheme is called “Das Keyboard” and features mechanical keyboard sounds recorded from the famous modern Das Keyboard mechanical keyboard. If you want a pure mechanical sound scheme download “Das Keyboard”, but since they are free you can download both sound schemes to try them and decide what to keep. To apply these sound schemes you need a freeware called Key Sound Generator; if you don’t have it already, you can download it now. Key Sound Generator includes a typewriter sound scheme you may also like. To use the mechanical sounds, just add the new sound folders together with the typewriter folder included in KSG and from the program’s settings select what scheme you’d like to apply. All sounds are in high quality wav audio. Amazing!!! :) Got a Logitech membrane key – very nice to type on but no audible feedback – this makes it just like mechanical :)) Well done!! !